Now, you must be thinking how you can make your small bathroom look grand? Well, you often ignore the most important parts of the bathroom furnishing in that matter. So, take a look and get inspired with these ideas. 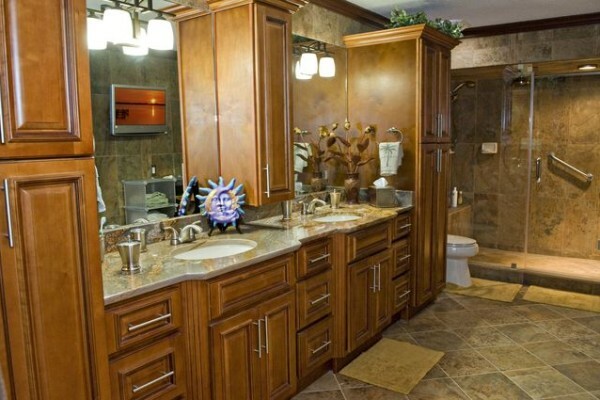 Use contrasting rich and dark colors, as well as solid wooden vanities to make your bathroom look gorgeous. These vanities can be extremely functional and it won’t occupy much space. On the other hand, it will rightly perk up the bathroom décor with the right touch of minimalistic sophistication. Often, the door of the bathroom or the shower can block the way. So, if you are thinking of saving the space, opt for sliding door. It will not only save some space, but will also add to the glam quotient of the home. So, choose sliding doors because they are chic, modern and stylish, and are a beautiful add on to your bathroom interior. If you are thinking that mirrors are only used for shaving or last minutes touch ups, then you are seriously mistaken. The mirror adds the illusion of space. When lights touch the surface of the glass and reflect, it will make the space look bigger. That is why the more mirror or glass surface, the better. When you are investing on wholesale bathroom vanities, buy some beautifully curved mirrors too. One of the main problems of being in a small bathroom is small space to move. In fact, you might end up bumping in the vanities. So, when you are choosing the vanities, make sure that you curve the corner of it before installing. It will give a softer look to the bathroom, as well as save you from getting hurt while banging into the edge. Instead of the lifted shower area, opt for the even bathroom floor. Let the floor continue in the shower too. It will also add the illusion of a bigger bathroom area. It is obvious that you are in desperate need of saving space. Therefore, when you are choosing your bathroom vanity from the collection of bathroom and kitchen cabinet wholesaler, you can opt for the floating ones. You will get the space under the vanity to use for some other purpose. Moreover, it will save you from the trouble of cleaning. If you are crying over the fact that you have got only a little space on the floor then don’t. You can make it even more beautiful with designs or beautiful flooring. And for the wall, choose a bright neutral color so that it can make the room look brighter. Get inspired by these ideas and incorporate them into your interior decor. Make your small bathroom a part of your whole home. 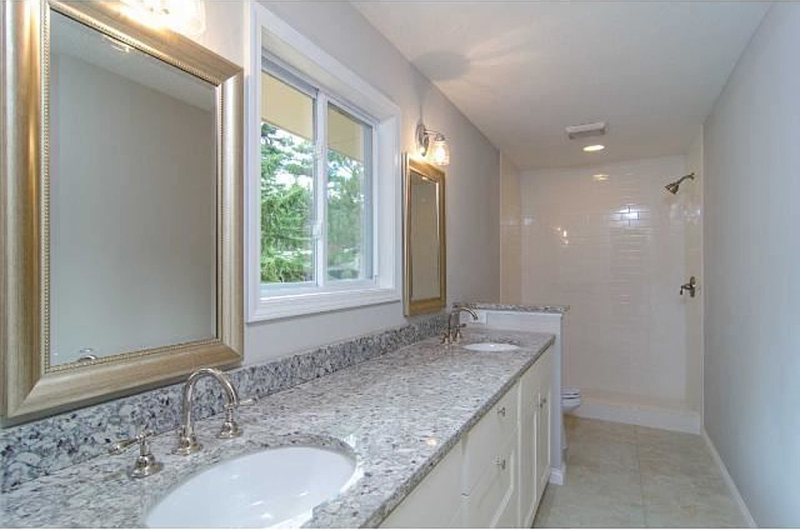 When you are investing on wholesale bathroom vanities, buy some beautifully curved mirrors too. Make your small bathroom a part of your whole home. This entry was posted in Home Improvement and tagged Bathroom Décor, Bathroom Decorating Ideas, Bathroom Design Ideas, Bathroom Designs, Bathroom Floor, Bathroom Furnishing, Bathroom Furniture, Bathroom Ideas, Bathroom Remodel Ideas, Bathroom Storage Ideas, Bathroom Vanities, Bathroom Vanities Idea, Cabinets in the Bathroom, Idea for Small Bathroom, Interior Décor, Kitchen Cabinet Wholesaler, Saving Space, Shallow Cabinets, Small Bathroom Designs, Small Bathroom Ideas, Small Bathroom Remodel, Wholesale Bathroom Vanities, Wooden Vanities. Bookmark the permalink.